Let’s be honest, kids can often drive us bonkers. They are little bundles of high energy which, when combined with lack of sleep, can lead to exhaustion and frustration. Yoga is a great tool not only to help kids use that energy but also to help instill a sense of calm and focus. Many kids have trouble focusing or sitting still, which can lead to other issues later on. 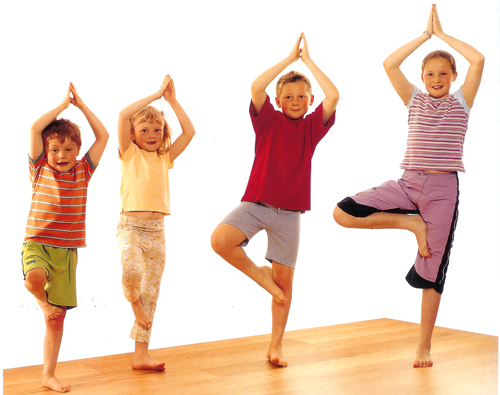 Yoga can teach children tools and techniques to help them focus and sit still not only at home but at school and in many other situations. Yoga promotes self-acceptance and awareness. Yoga teaches techniques to focus and stay calm in difficult situations. Yoga supports and promotes positive mental health and coping strategies. So now that you’re convinced yoga is good for children, how do you teach them yoga? You don’t have to go through an entire 200 hour yoga teacher training. Though a short day or weekend training is recommended, here are some quick tips to teach basic yoga to children. Be high energy to promote high energy. Do the poses with the kids. If the kids are old enough, allow them to provide input on what poses they like. Build your class for your kids at their level. Keep the class fast paced. Use games, be playful. Yoga doesn’t have to be serious. Help the kids by adjusting them or assisting them. One of the key things to remember is that kids will be kids. They will get distracted, they will want to stop. Just go with the flow and see how the practice progresses over time! After a few weeks/months, you may see a difference!